It’s can be super overwhelming and stressful to plan for the entire year! So I’m here to help. I’ve created a year long Curriculum Map for preschool, pre-k, and kindergarten. 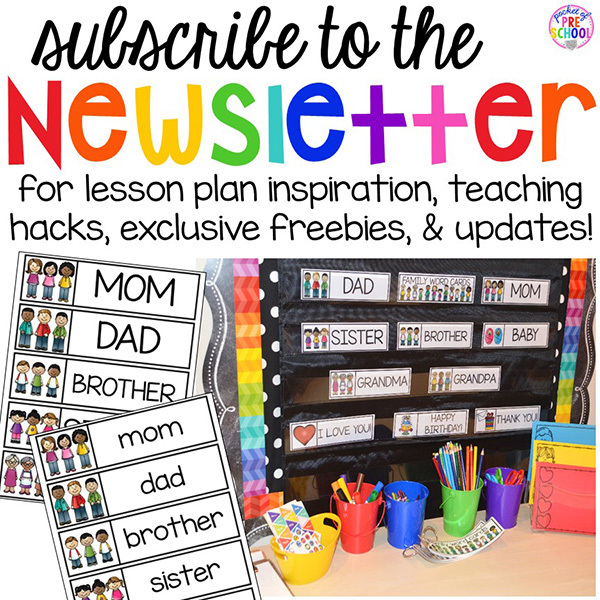 You will find a Year at a Glance, monthly plans, resources, and a book list for every theme. Yep, I mapped out the entire year for you! 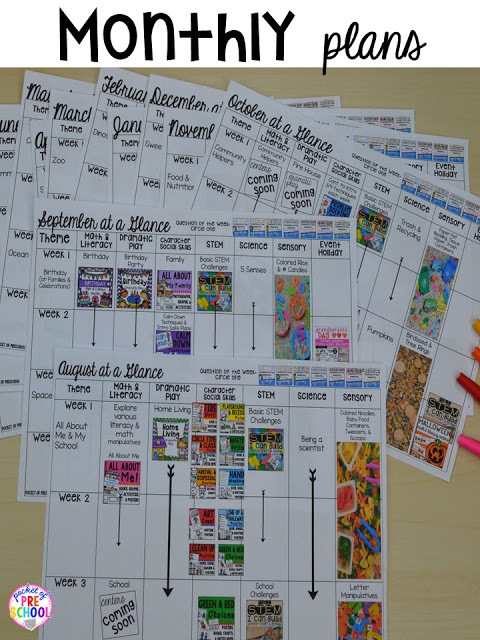 Each and every week planned out for you by theme! Yippee! The 2018-2019 map was just added and there is now an editable version for you too! Go grab it from my TPT store HERE (it’s a freebie)! So first things first, here is the year at a glance. You can see each month has two themes. Each theme lasts two weeks. I also added a column for holidays and events. If a theme isn’t underlined or linked, it will be created soon! It will be posted in my TPT at least 2 weeks before you need it so you have time to print and prep it. The new dramatic play packs will be added to the Dramatic Play Bundle and the new center sets will be added to the Themes Center Bundle. Once I create all the new center and dramatic play kits I will be making Science Sets for each theme! I can’t wait to get all the new themes to you! I will announce when new themes are uploaded in my newsletter, on Facebook, and in my FACEBOOK GROUP. Be sure to follow me and joining the group so you know when you can grab it. Each theme will last two weeks so there are two themes every month! There will be a book list and sensory table suggestion for each theme. Each theme will have a matching Math and Literacy Centers pack, a Dramatic Play set, STEM Challenges, Character Topics (aka social skills), and Question of the Week. There is also a suggested science topic related to the theme. Science will be coming this summer! Do you have to follow the theme sequence? Nope. It’s just a suggestion. You can move them around to meet the needs of your students and school as needed. I added summer months to the curriculum map to help the teachers that teach all summer long or teach summer school. If you don’t teach during the summer and you want to use one of the themes just switch it out with another theme. What if I only do one theme a month? No worries! Just pick one of two themes to do that month. Then the next year you can do the other theme that month creating a two year theme rotation. What do I do if I do a different theme each week? That’s ok too! The themes are very broad so you could break it into more specific themes. For example one of the two week themes in October is Fall. Do an Apple theme one week and do a Leaf theme the next week. OR you could try two week themes! I promise your students won’t get bored, and it will be less prep for you! Changing themes each week takes a ton of work. Students will be able to dig deeper into a theme and learning about a topic. Rather than just skimming the surface when doing a theme for a week. In my full day classroom, we would do a theme for 3-4 weeks, basically until the students were bored with the topic. Every teacher teaches differently, and I tried to create this year curriculum map with many different types of classrooms and teachers in mind. I know you may need to tweak this to fit the needs of your students, classroom, and administration. That’s OK! Do what is best for your students in your classroom. Each them has a sensory table filler and tool suggestion on the monthly plans. The only filler that repeats is colored rice! If you choose to do a holiday theme in the sensory table, I’ve got filler and tool ideas for you too! My favorite part! The book list will consist of 10 or more suggested books you can use for circle time during the theme. The Character Education packs also have an included book list as well and some books may be on both lists. Quality children’s literature enriches the theme, builds background knowledge, helps students make connections, and build theme specific vocabulary. By no means do you have to use this list. Pick any fiction or non-fiction books related to the theme for circle time that best fits the needs of your students. The books are clickable links to Amazon or TPT. The Amazon links are NOT affiliate links. The book list is taking a bit longer than I thought so I still need to add a few book lists. I will be updating the curriculum map with the remainder of the book lists soon (before you will need them too)! You can choose to do the same question all week or change the question each day. Some of us teach five day classes, four day, three day, and even two day a week classes. I wanted this map to work for all classrooms so here’s what I did. At the top of each month, I put the Question of the Day packs. So all you have to do is circle the pack you want to use that month on your map. You can read more about Question of the Day HERE. These resources and curriculum map have been designed for preschool, pre-k, and kindergarten. Many of the resources can be modified to fit the needs of both struggling and excelling students. Kindergarten teachers will need to add more to support their reading and math standards. You will find links to blog posts to help you set up amazing classroom centers, calendar, assessments and student portfolios, question of the day, behavior management, daily and visual schedules, and infusing STEM into your classroom. As I create more blog posts, I will add to this resource list. Print the curriculum map and PUT IT IN YOUR PLANNER! It will be there for you to use as a reference ALL YEAR LONG. It will make weekly and daily lesson planning easier and less over overwhelming. The easiest and most affordable way to purchase the curriculum is by purchasing the bundle packs from my store. When you buy it as a bundle you save at least 20% or MORE! There are still a few new math and literacy center packs that will be added to the Themes Center Bundle and a few new dramatic play sets will be added to the Dramatic Play Bundle. The Assessment and Portfolio Bundle received a HUGE update last summer! Science will be coming this summer! **If you purchase a product, you get ALL updates FREE. All you have to do is download the product again to receive the update. Super simple! 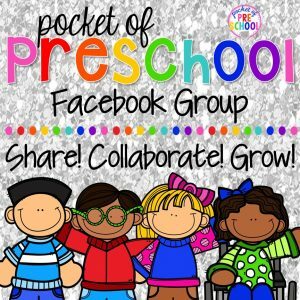 If you are school district and want to buy the entire curriculum please email me and we can discuss the details and pricing at pocketofpreschool@gmail.com.